. 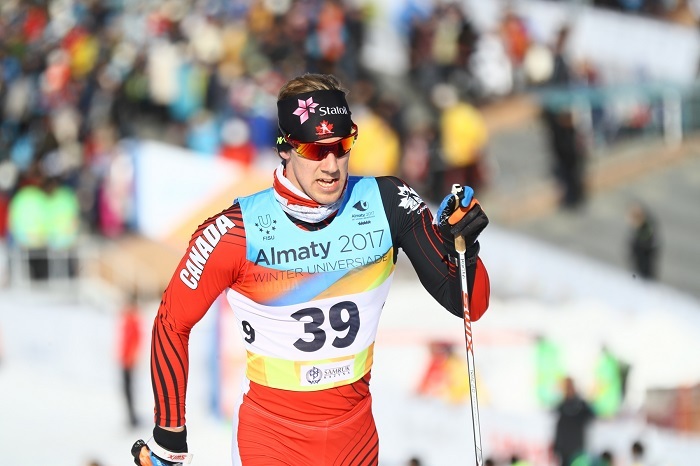 : Race Report: World University Games 2017 :: Ski XCOttawa.ca :: Skiing in Ottawa and Gatineau Park :. 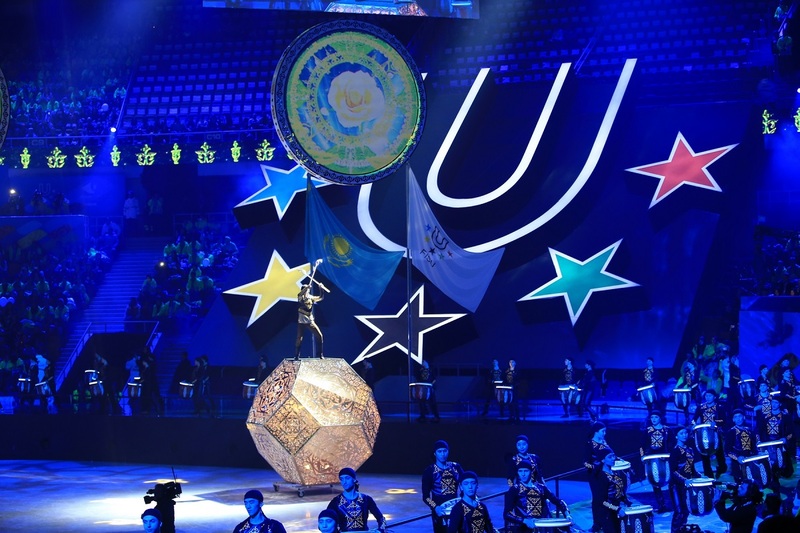 It’s time for my long overdue report on the World University Games! 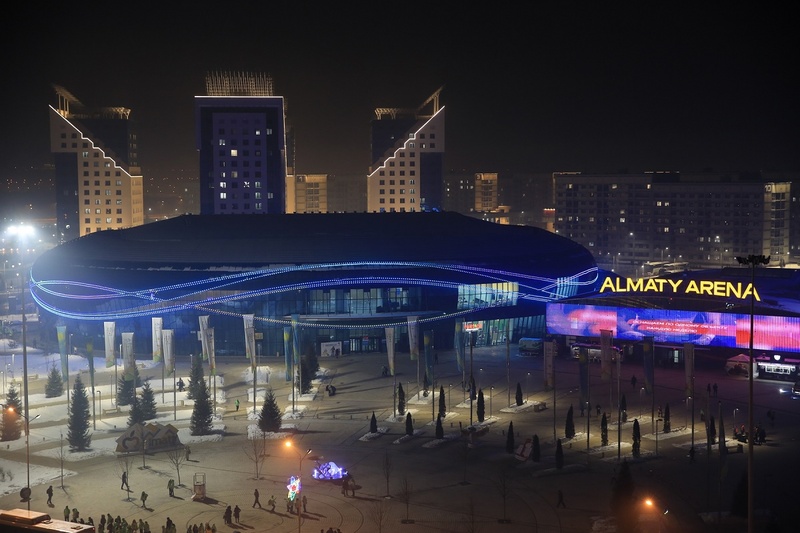 The games took place in Almaty, Kazakhstan, from January 28 to Feb 8, 2017. Upon returning from the trip I headed straight into catching up on schoolwork and the usual stream of test-writing, hence the delay in the race report. 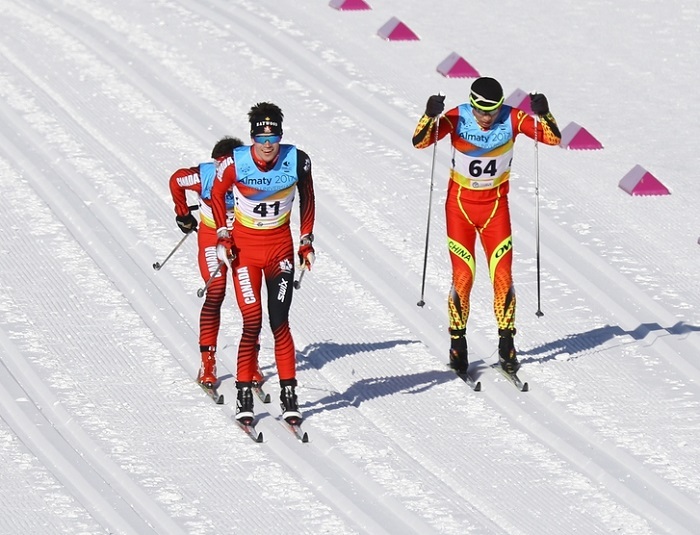 The Canadian cross-country team was composed of 6 men and 5 women, plus 4 support staff. 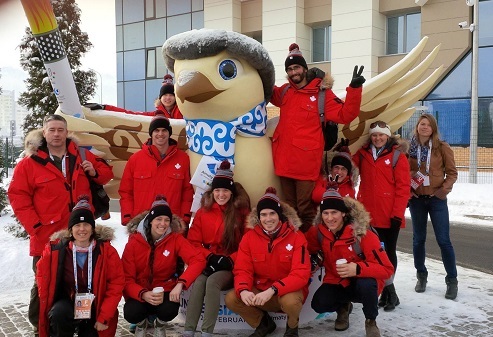 We’re all picture here with the mascot of the games, a bird that reminded athletes to “spread your wings”. Our waxing and coaching team was composed of Toivo Koivukoski, Katja Mathys, Mary Waddell, and Kirk Potter. We couldn’t thank them enough for the support they provided, taking care of logistics and getting up at 5am day after day to get skis ready for us. Plus they were full of jokes and good spirits! Toivo, Mary, and Katja are seen here poking out of the wax trailer. We started the week off by watching the Canadian women’s first hockey game. They won by a wide margin, as they would continue to do for most of the week. 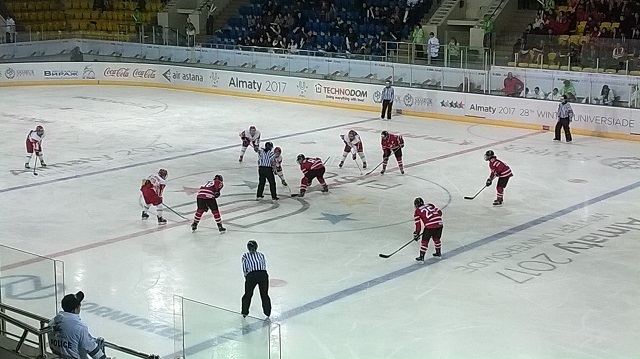 The game was followed by a reception with the Canadian ambassador to Kazakhstan at a local restaurant. 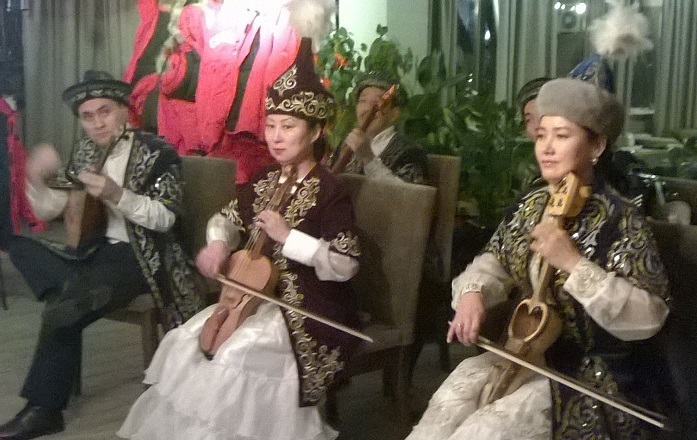 There were traditional performers there to entertain us as well. 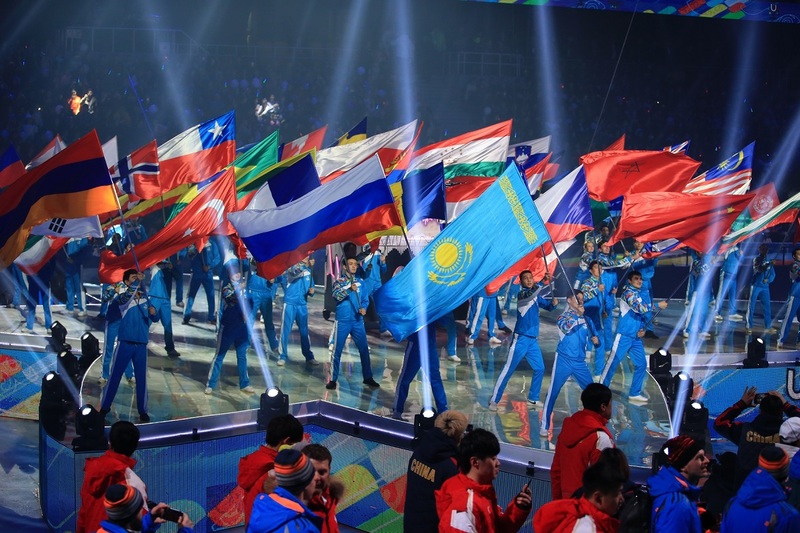 The next night we participated in the opening ceremonies, before heading into a big week of racing (photo from https://almaty2017.com/)! The first race was in classic technique, part of a 2-day pursuit. 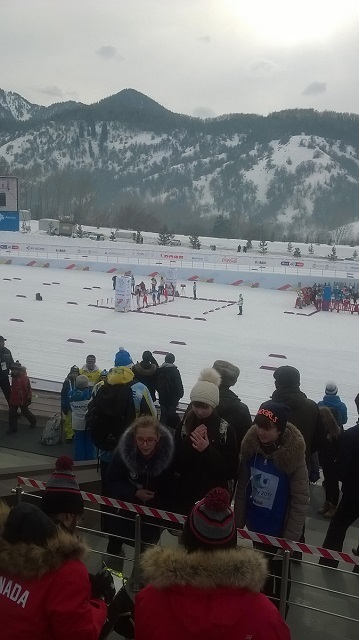 Each day was 5km for the women, 10km for the men. The conditions were hard and fast and I was feeling the altitude! 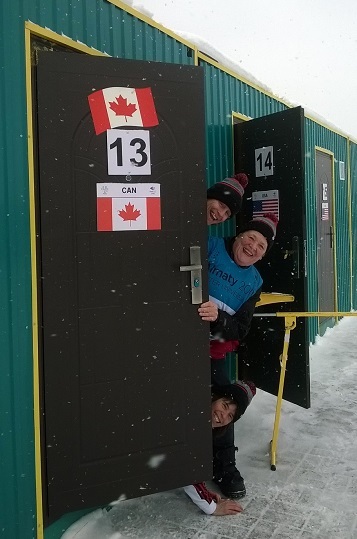 Christel Pichard-Jolicoeur and Jordan Cascagnette were the top Canadians that day. 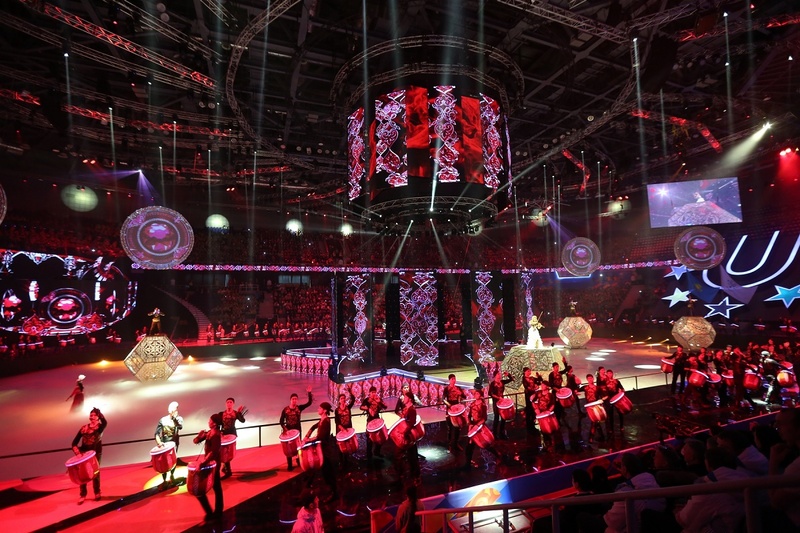 Jordan is pictured below (photo from https://almaty2017.com/). The next day brought a ton of new snow for the skate race, slowing things down quite a bit. Will Dumas and I had the top Canadian times for the day, and Christel and Will finished as the top Canadians for the 2-day overall results. 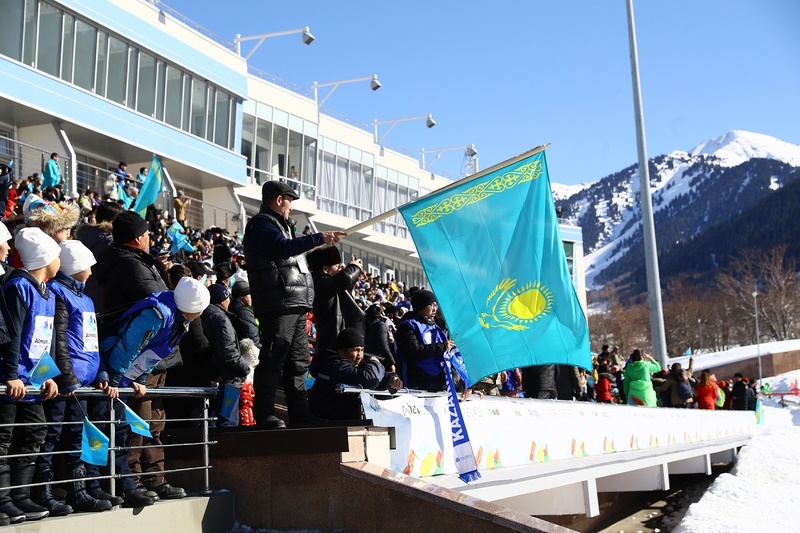 Here’s a photo of the men’s skate race (obtained from https://almaty2017.com/). 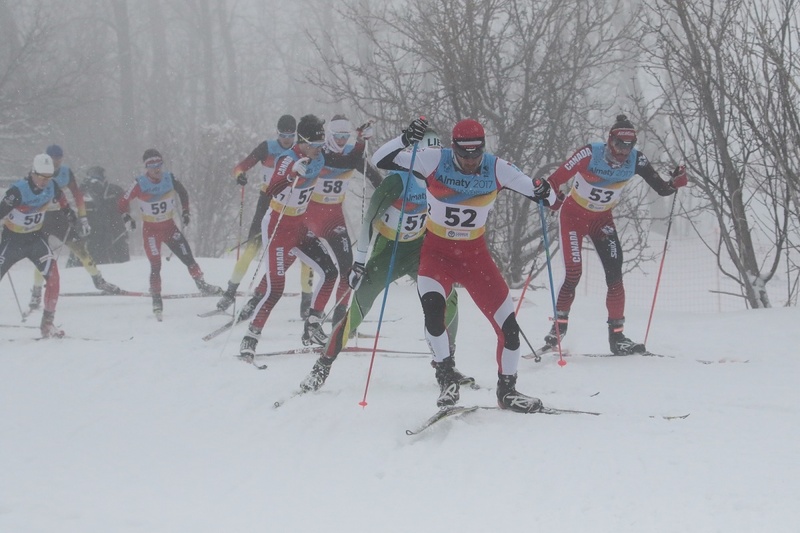 Over the next ten days we skied a total of 4 more races - a classic sprint, team sprint, team relay, and classic distance race. 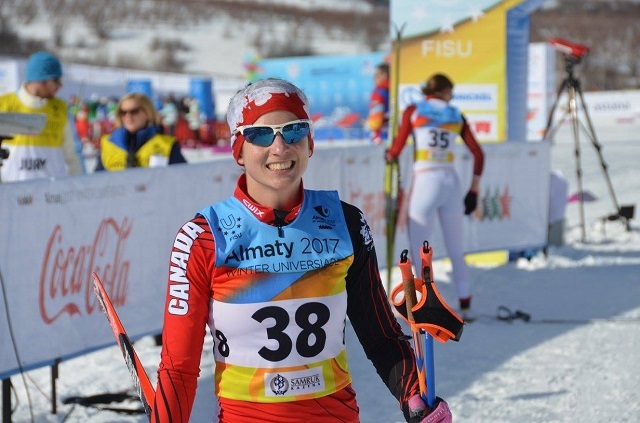 In the sprint race, we had 5 Canadians qualify for the heats: Andrée-Anne Théberge, Christel, Emma Camicioli, Shelby Dickey (go girls!!) and Alexis Morin. This was a great accomplishment for the team! 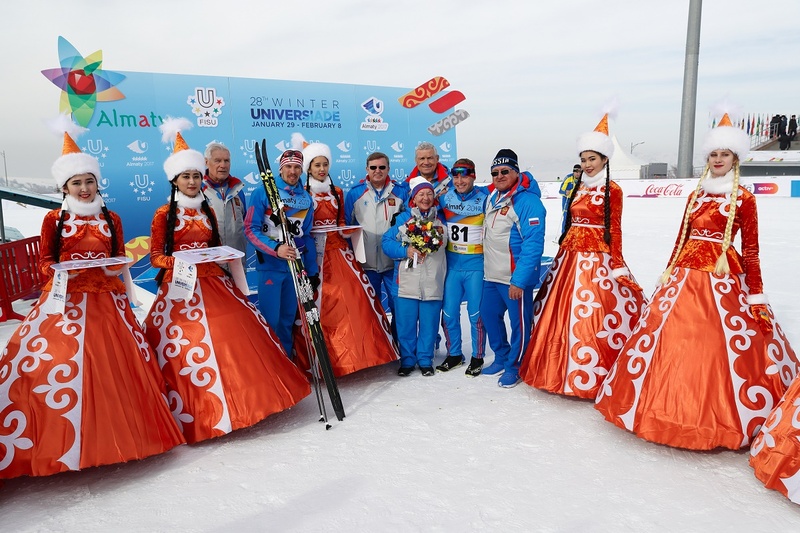 The rest of the Canadians watched the heats, and we were also bombarded by Kazakh school kids asking for photos and autographs (shown in the picture below). Not sure if it was because we were foreign, or athletes, or both…either way it was pretty funny! The team sprints are always a gruelling event. They took place on one of the few cold days we had. Andrée-Anne and Alexis were a team, as were Emma and Gavin Sheilds. They finished 16th and 18th, respectively. 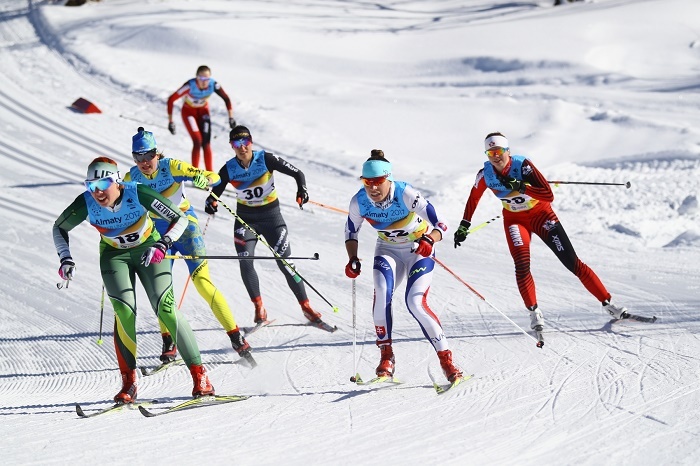 The final races were a 15km classic for the women and 30km classic for the men. Once again conditions were hard and fast. 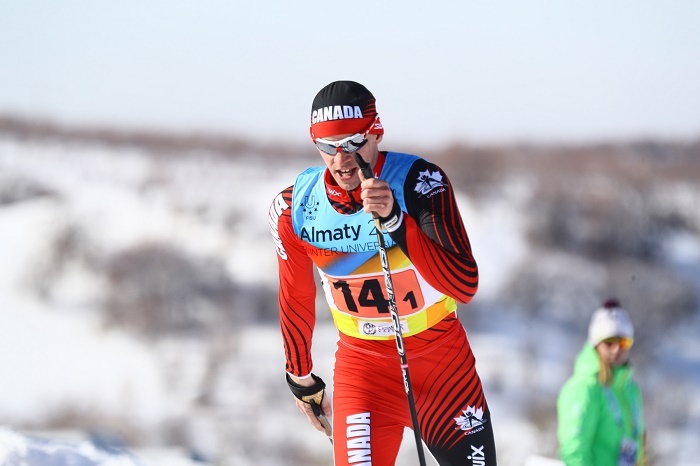 The top Canadians in these races were Christel and Will, in 24th and 34th, respectively.